Curtis Engine - Engineer’s Guidebook Updated! 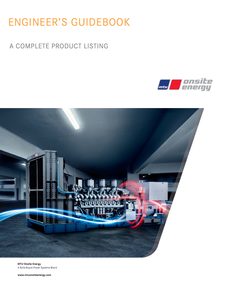 The Engineer’s Guidebook is a collection of product specification sheets, component data, and warranty information for the MTU Onsite Energy portfolio of products and accessories offered in North and Latin America. It is available online and for ordering in hardcopy, flash drive, or CD effective immediately. Download the newest version of the Engineer's Guidebook for free here. The Engineer’s Guidebook can be ordered in hardcopy, on flash drive, or CD by contacting us. The current version of the Engineer's Guidebook is 2018-06, which was released in June 2018. Download a summary of the changes in the current release here.